It's been one of those days...: Keeping the witches out. 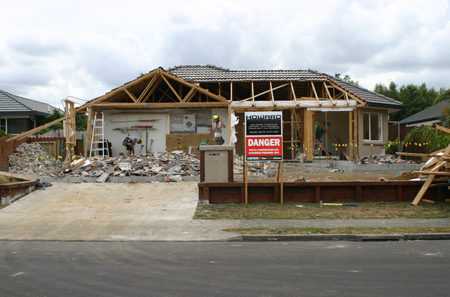 I haven't mentioned much about our house extensions on my blog but it's been most of the reason I've been missing in action lately. It's hard to work in a house that looks like this. Yes, we still live here and actually the roof got ripped back a lot further and we have been living under tarps for 2 weeks. But today the roof goes on. Not before we raised the flag though. It's a tradition in New Zealand to put a flag on the roof to indicate 3 things. FIrstly, that the house is ready for the roof to go on. Secondly, that the owner of said house has to put on a 'roof shout'. And thirdly, to keep the witches out of the roof space. We don't want witches trapped in the roof space. Really we don't. A 'Roof shout' this might take some defining for those that aren't familiar with NZ slang. The term “shout” is used in the Southern Hemisphere to refer to the altruistic act of purchasing intoxicating beverages for consumption by other persons. (“Hey, I bought the last round, mate, it’s your shout now.”) When used outside the context of a pub, the term can be used for anything really - I'll tell the kids I'll shout them a trip to the movies for example. Although that has happened.. um... never. lol..I guess I'd better put on a roof shout sometime soon. The kids were quite intrigued by the whole "keeping the witches out of the ceiling" thing. Raising the flag to keep the witches out isn't always done these days, but I'm a superstitious kind of girl. 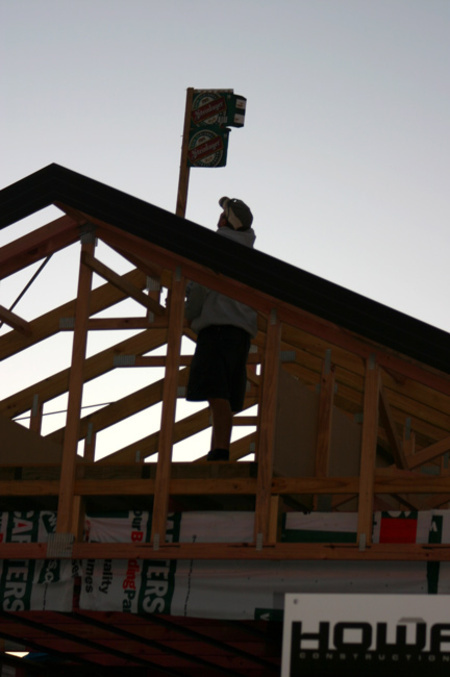 That flag goes up on every house we build for ourselves. I'm having an acrylic stamp crisis. Storage is driving me nuts. I think it's no longer acceptable to call 'placing set of acrylic stamps in container and sitting on said container to make it close" effective acrylic stamp storage anymore. I've been posting on 2peas and searching the internet for an answer. I saw that this acrylic stamp company in the U.K. - Banana Frog - sells their stamps in wallets, with pull out tabs to indicate what set they are, that you then put in a magazine file type thing. How clever. How can this help me now? I'm not sure. I'm dwelling on it. Whilst dwelling on whether I need more new stamps. lol. I kinda like this set. And this set. I don't think I shared this butterfly box I made for Abby. 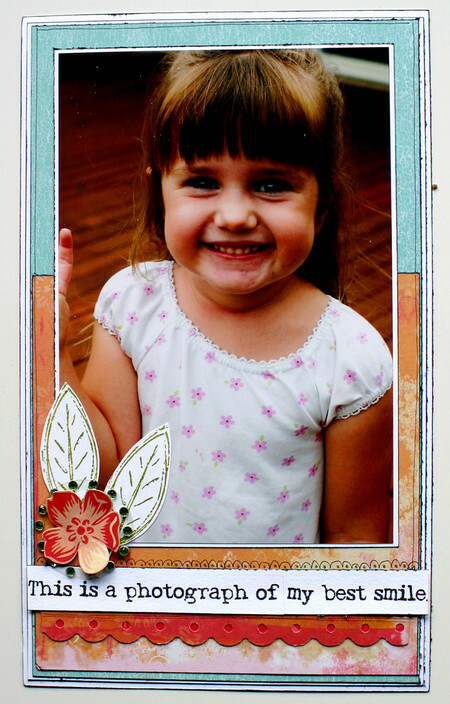 I made it with the last Tarisota kit, and it is full of the photos from Abby's last birthday and our trip to Butterfly Creek. Speaking of that gorgeous wee girl of mine - I have done more on her album, will share a page at a time for now - because you ladies are speeding ahead and I haven't done that much ! This is the page with her best smile. I used my favourite paper ever right now for this week, hey Sugar by Cosmo Cricket. I also used that favourite new punch you'll see on every project i do for the next 6 months, the Fiskars Threading Water punch, and some Heidi Swapp bling and Stampin' Up! Stamps. I have discovered the benefits of owning some proper markers for using with stamps and look. I even look like I know what I'm doing. (NOte to stampers - you should have let me in on the markers thing ages ago). that leaf is from the All Natural set. And here is the page. The flower in the middle is from the Cosmo Cricket paper. I've added 10 more pages to the "All about me kiddies album" photo album in the sidebar - be sure to look for the icon to see more - there is more than one page of them there. Thanks ladies for sending them through - there are lots of people makign these kids albums, keep the pages coming, everyone loved to be inspired by them, especially me! Ok, the whole roof shout thing just fascinates me - and makes me realize that while we speak the same language (sort of), there's some pretty wild cultural differences between Canada and NZ! Now you've got me worried about whether there are witches in my ceilings. And how they're doing considering that this house is 17 years old. Cause I'm pretty sure no one put up a roof shout when they built this house. Yikes! Ummm, I can totally identify with the roof tarp situation! We had them for 3 months over our entire house and I swear we had several cyclones in that time. What us wives of the builders have to endure huh? They call it adventure...I guess soon you'll be enjoying lots of lovely new space though. I've said never again several times now. Thanks for the info on the stamps. An idea for acrylic stamp storage - CD cases, empty of course! Then stored in a CD rack. I saw it initally on Rach's blog http://rachaelscholz.squarespace.com/ but can't find it now. 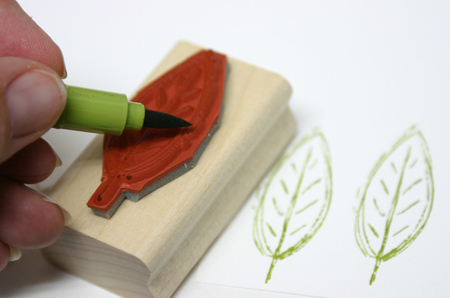 While I don't have heaps of acrylic stamps, I have done it with mine and its great. Just whack a label on the side there you go! The house is looking good! Hmmm, is it Making Memories that have released a new folder for storing clear stamps? I'm sure I saw something the other day. 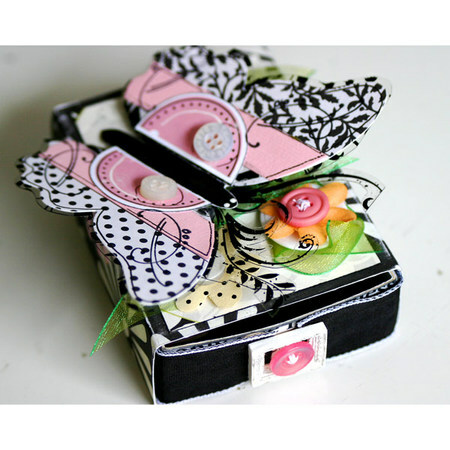 Also I think Tim Holtz has a clear stamp storage tin that I liked the look of too! One of those might interest you!! Wow that looks more like a re-build than extension. Don't you just love that we Kiwi's look for any excuse for a drink! Only have a few stamps at the mo but this sounds like a great idea! Then you could use a cd storage shelf - all sorted! LOL! I know what a "shout" is from when i lived in australia! that's probably the first aussie (well, i guess if nz uses it too, it would be a "down under" and not an aussie term to be pc?) term i learned! lol that and the "loo" ! (isn't that english? i guess they called it specifically "the toilet" and not the bathroom or anything). i love the superstition about the witches. love that. and your latest pages of abby just gorgeous as usual. your stamp obsession sounds fun to me! wish i had any inkling at all to create something. love that butterfly box too. LOVE the layout with your daughter. And question - how did you make that "lacy" sort of edge on that orange paper under the words? Is that a punch? Wow, that looks like major renovations to me! I love the little box you made for Abby, so cute. I will send some pics once I get started. love the page share - well done for scrapping anything whilst doing renovations!!!!! 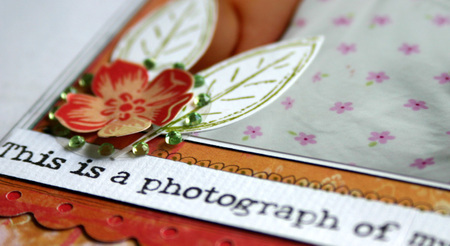 gorgeous page and gorgeous leaf stamp too!